maximum safety and maximum precision. Short-sightedness (myopia), long-sightedness (hypermetropia), astigmatism and presbyopia are corrected by laser. The cornea is reshaped to give it the curvature it needs so that the eye can focus perfectly and see correctly. The cornea has different layers so it is necessary to separate the surface layer (epithelium) to apply the laser to the centre (stroma) for the reshaping process. According to how this is done, one of the following procedures will be carried out. In this video you can see a summary of the different options offered by eye clinics today for a Laser Eye Surgery. There are different methods of laser eye surgery. The safety, precision and recovery time may vary. Some methods are carried out using just one laser while others use a platform comprising two different lasers. Only centres equipped with all the necessary technology to carry out the different types of procedures can offer the best solution for your individual needs. Our doctors will recommend the best treatment for you. This is carried out with two different, highly accurate lasers; no knives or mechanical equipment are used. This is one of the most advanced, precise and safe techniques which currently exist, due to the combination of these lasers and the study and treatment, as required, depending on the patient’s pupil size at night. It is currently the most popular procedure in The United Stated, Japan and the European Union, and the best ophthalmologists in the world promote it as the best solution. Using a high-precision laser (the femtosecond) the surface layer of the cornea is separated, so that a second laser (the excimer) can be applied to the middle layer to reshape the cornea and correct the vision. The precision in shape, diameter and thickness of the separated flap as well as its thinness, make this the best quality laser eye surgery around. This allows for the treatment of severe vision impairment and thin corneas. It is so gentle on the eye that after a few hours you can get back to normal life and usually you can go back to work the day after surgery. Laser eye surgery is carried out for short-sightedness (myopia), long-sightedness (hypermetropia) or astigmatism. However, there is no ophthalmologic test proving that the quality of vision will be stable and it may change in the future. It is possible that the impairment will reappear some years after the operation. 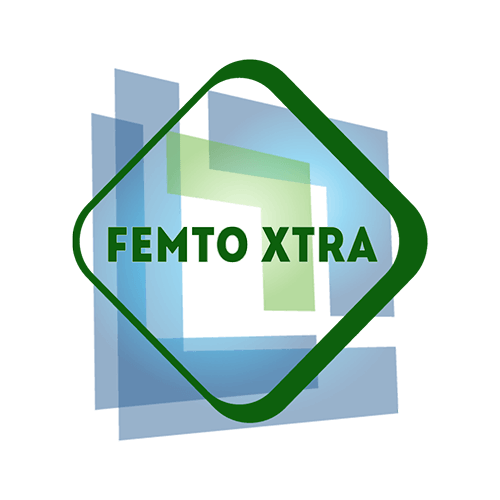 Femto Xtra allows us to preserve the maximum thickness of the cornea and know precisely how thick the flap is. This means that in most cases, if necessary, a second operation can be carried out to correct any later impairment that may appear in time. This means we can offer a ‘LIFETIME GUARANTEE’ (visit one of our clinics for more information). This is a safe and effective way to treat low level visual acuity and thin corneas. A single laser, the excimer, is used throughout the entire process of eliminating the impairment. The first step is the ablation of the surface layer of the cornea (the epithelium). The laser can then be applied to the next layer of the cornea, eliminating myopia, hypermetropia and astigmatism. What’s so innovative about this method compared to other surface techniques (PRK, LASEK) is that the process of removing the surface layer of the cornea (the epithelium) is done with a laser instead of alcohol. This results in increased comfort post-operation. The all-laser method is a surface treatment, no cuts or incisions are made. This optimises the preservation of the stability of the structure of the cornea. This treatment is suitable for thin corneas and reduces the risk of dry eyes. After surgery, the surface layer of the cornea (the epithelium) repair itself, taking five days to grow back and cover the cornea. During this time your vision recovers slowly and the eye will be protected using contacted lenses to reduce irritation during this period. During these days it is recommended that you rest and take time off work. This treatment is not recommended for high or medium level visual acuity due to the reduced stability and safety of the correction. With an instrument called a microkeratome, which uses a blade, a surface cut is made to cut a thin flap into the cornea. This is put back in place afterwards using the excimer laser. The patient can get back to normal life the very next day. Despite having carried out over 15,000 operations with this process, Vistaláser has stopped using it due to the superior quality, precision and safety offered by Femto Xtra. Try to get a good night’s sleep before the operation, have a good breakfast, don’t forget to bring some sunglasses for after surgery and follow our steps for the procedure. You will be awake throughout the operation, the sedative we provide will help you to relax and the anaesthetic drops will ensure that you don’t feel a thing. We use the most advanced techniques and there is no blade, surgery will be over in 15 minutes. 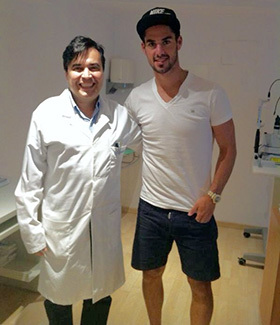 Top professionals, like the football player of Real Madrid Isco Alarcon, choose Vistalaser ophthalmology clinics to operate their eyes. The All-laser procedure is recommended for all patients who are suitable candidates for laser surgery to correct myopia, hyperopia, astigmatism and presbyopia. Even many patients who have previously been advised that they are unsuitable candidates for laser surgery due to a variety of problems, such as not having the required thickness of cornea, can now be operated on because the femtosecond laser gives us the ability to create a much finer and better quality flap. This allows us to preserve a much greater quantity of corneal tissue and at the same time increases the range of diopters that can be treated as well as the number of patients that may be considered suitable for refractive surgery of this type. In order to be suitable for laser surgery, the candidate should be over 18 and have a visual problem, either myopia, hyperopia or astigmatism, which has been stable for at least a year. Before proceeding with the operation it is necessary to check for certain ocular disorders as well as examining the patient’s general health. The intervention cannot be carried out if the patient is pregnant or breast-feeding. Contact lens wearers will have to stop using them for a period before the operation. 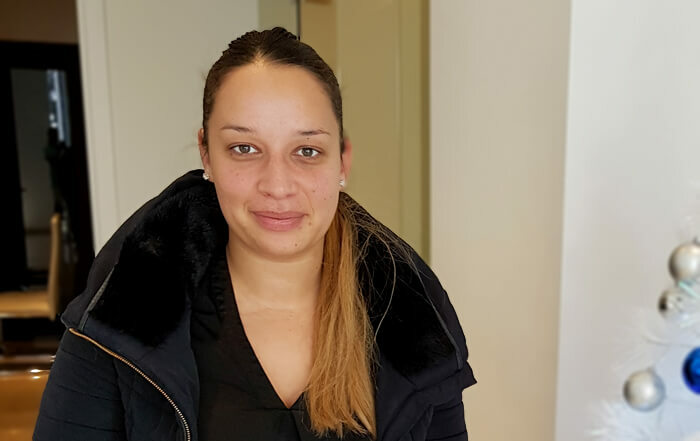 At Vista Laser we carry out an in-depth eye examination to exclude those patients who may not be suitable and give a full explanation of the operation in each individual case. Particular care is taken to check the patient’s general ocular health as well as the thickness, outer and inner surfaces of the cornea, the dimensions of the cornea and pupil, whether the eyes are excessively dry or watery, the transparency of the lens and the condition of the retina. Patients who are over 45 years old and suffer from age-related long sightedness (presbyopia) as well as short sightedness may also be suitable for laser treatment to correct with their refractive errors. In ophthalmology, technology progresses very quickly and only those clinics that have the capacity to reinvest in new equipment are able to keep up to date. At Vista Laser, we use the MEL 80 Laser by Zeiss, to carry out customized treatments based on wavefront technology and topography. In addition, we have a femtosecond laser which allows us to carry out the whole procedure with lasers without the need to use scalpels or blades of any kind. These lasers have received approval from both the American FDA and the European Union. What advantages does the All-laser LASIK procedure offer? Because of its precision and safety, the surgical procedure that is most common for the correction of refractive defects is LASIK. This involves lifting a thin flap of tissue from the surface of the cornea in order to apply the laser to the intermediate layer below. Traditionally, this flap was created using an instrument called a microkeratome which works by making the cut with a surgical blade. Nowadays, with the All-laser LASIK technique, also known as dual laser with femtosecond laser, this blade has been substituted by a laser which can create a flap without cutting. The precision of the laser in terms of the size, shape and thickness of the flap along with the fact that the risks associated with using a blade are eliminated, make this the best quality treatment which improves accuracy and safety as well as making recovery times shorter. Why is the operation safer now? Until now the first stage of the LASIK procedure consisted of making a cut using a mechanical microkeratome with a sterile blade. Although the results achieved with this method have been very good, we can now use a computerised laser which eliminates many of the potential complications that occasionally arise through the use of this type of mechanical instrument. Why is it more precise? The creation of the corneal flap using a laser is 100 times more precise than that carried out using a mechanical microkeratome with a conventional surgical blade. The femtosecond laser gives us great precision over the dimensions of the corneal flap that is created. Dimensions such as the thickness, diameter, position and width of the hinge and the angle at the edge of the flap are all precisely controlled by the laser. This high level of accuracy opens up the possibility of creating a corneal flap that is very fine and of a high quality allowing us to preserve a greater proportion of the cornea’s tissue and at the same time increase the range of diopters that can be treated and the number of patients that are suitable for this type of refractive surgery. The operation takes only four or five minutes per eye and is carried out using anesthetic eye drops, LASIK surgery is never painful whether the procedure is carried out using the microkeratome or All-laser LASIK surgery. However, the treatment carried out with All-laser LASIK is less aggressive than with the conventional microkeratome and, therefore, causes less discomfort. In fact, in tests on patients that had one eye operated on with the microkeratome and the other with the femtosecond laser, when asked which they would choose, without exception they opted for the second procedure because it caused less discomfort and stress. During the first four hours after the operation you might experience some discomfort – a slight soreness and sensitivity to light – but that will disappear on its own. What is wavefront guided customized laser surgery? Wavefront guided laser technology is the most important advance in the field of vision correction. Glasses and contact lenses apply only one degree of correction over the whole eye. However, eyes are not completely uniform and if we divide the eye into 20 different areas it can be seen that the degree of correction necessary for each one differs slightly. With our Zeiss aberrometer we measure 1452 different points of the eye and adjust the treatment accordingly. The result is vision that is often better than that obtained by wearing glasses. Will it take long to get back to my normal way of life after the operation? One of the advantages of the LASIK technique using a femtosecond laser rather than a scalpel or blade is that you will regain your sight very quickly and can return to your normal way of life almost immediately. It is important to rest during the first four hours after the operation because you will experience a gritty feeling in your eyes and light may bother you. Afterwards, patients recuperate quickly and in most cases they are able to return to work the day after the operation. You will recover 100% of your vision within a few days and your sight will have stabilised completely after five months. Will I have to take any special precautions with my eyes after the operation? At Vista Laser we carry out a meticulous follow up after the operation and we will tell you exactly what you have to do. You will need to follow a course of medication for several days and take precautions like ensuring that you do not get water in your eyes. To avoid the danger of your eyes being hit, you will not be able to play contact sports for a while either. What if I blink during the operation? It is impossible to blink during the operation because we use an instrument to gently separate the eyelids which prevents you from closing your eyes even if you want to. The surgeon will continually moisten your eyes with artificial tears so you will not experience any discomfort. What if I move during the operation? You should not move your eyes during the operation; this is why we ask patients to concentrate their sight on the laser’s green light. During the 30 seconds when the laser is being applied the position of the eye is monitored 250 times a second to ensure that it is in the correct position and the treatment is administered properly. Even the slightest movement is detected and the laser is adjusted accordingly within thousandths of a second. If my sight is not completely corrected after the operation, is it possible to have a second operation to enhance my vision? In some cases – less than 5% – there is still a slight residual refractive error that can be corrected in a second operation which is usually carried out three months later. There are risks in refractive surgery with a laser, just as there are with any other operation. Your ophthalmologist will give you detailed information of any risks once your individual case has been examined. In any case, since the operation is not invasive (in other words we do not open or touch the inside of the eye) the risk of provoking serious visual problems is almost non-existent. Minor problems that may arise are usually treated with a course of medication. Might I still need to wear glasses after the operation? Once your doctor considers that you have completely recovered, the refractive error that has been eliminated by the laser will not return. The curvature of the cornea is modified by actually removing cells from its intermediate layer so this structural change is irreversible. We also need to make sure that the patient’s visual problem is stable in order to ensure that post-operative alterations do not affect the results. 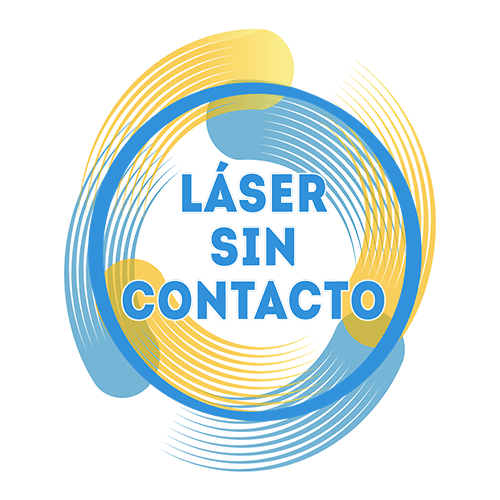 However, by making a contract for Vista Laser’s “Lifetime Guarantee” even if any refractive error reoccurs, we are obliged to correct it without any charge being made to the patient. See conditions. What is Vista Laser’s Lifetime Guarantee? This is a written contract freely entered into by both parties in which Vista Laser guarantees that patients who have undergone laser surgery to correct myopia, hyperopia or astigmatism are entitled to repeat the treatment without any further charge if a refractive error of at least 0.75 dioptres returns at any time in the future. The full details of this offer are available at reception in our clinics. Compare laser eye surgery prices, you can finance the cost of the operation to twelve months, excluding opening fee. Our doctors have performed more than 10,000 femtosecond laser surgeries, being one of the leading teams with this technique in Spain. THE SPECIALISTS CAN ONLY OFFER YOU THE BEST OPTION FOR YOU BY HAVING ALL THE NECESSARY EQUIPMENT TO CARRY OUT ALL KINDS OF PRODEURES. 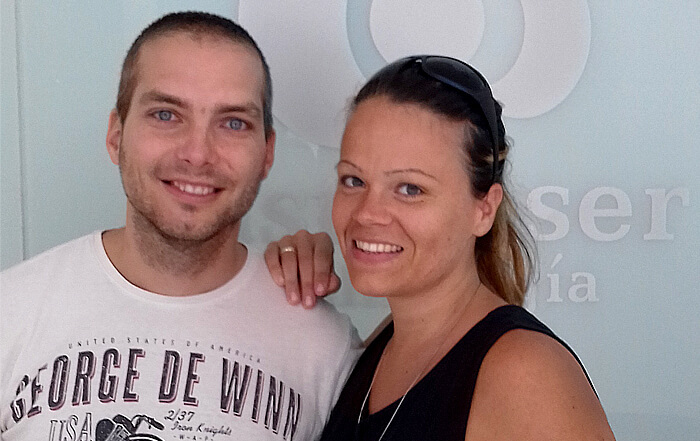 OUR DOCTORS HAVE CARRIED OUT OVER 10,000 FEMTSECOND LASER OPERATIONS AND WE ARE ONE OF THE LEADING TEAMS IN SPAIN FOR THIS TECHNIQUE.